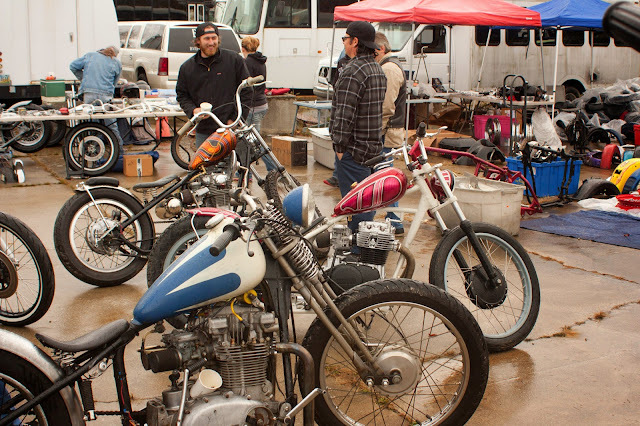 The Midwest Moto Swap is a proper, crusty swap meet. 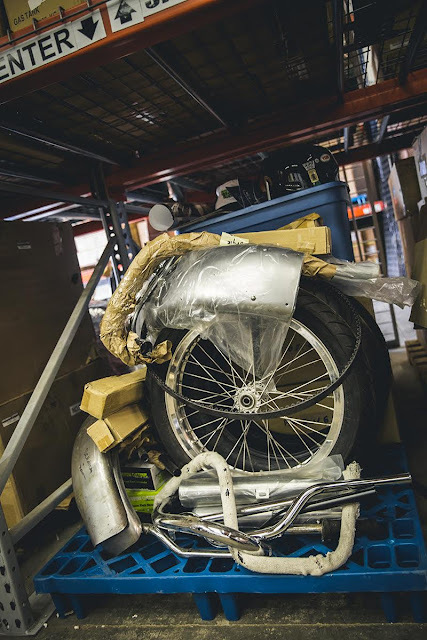 Buy, sell and swap new, used and vintage motorcycle parts. American, British, Japanese, European, if it has two wheels and a motor it is welcome here. 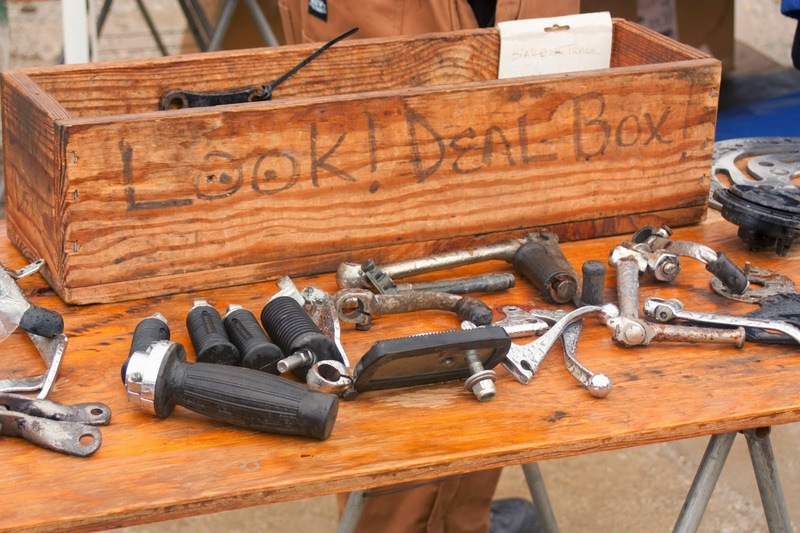 The thrill of the hunt is what makes swap meets so much fun. 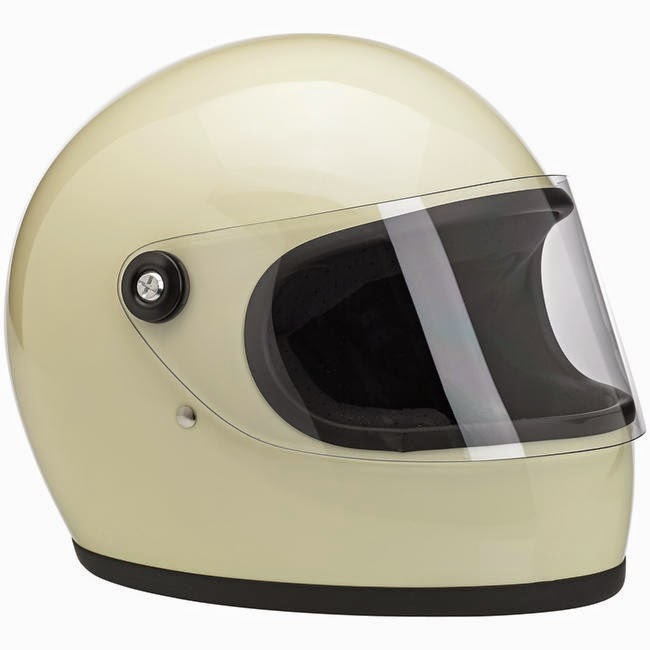 Too many swaps full of fringed jackets, do-rags, and insurance salesmen is starting to jade motorcycle enthusiasts everywhere. Enter a simple event, cheap for vendors, cheap for attendees, chock full of good times and cool parts, and it even starts at a decent hour. 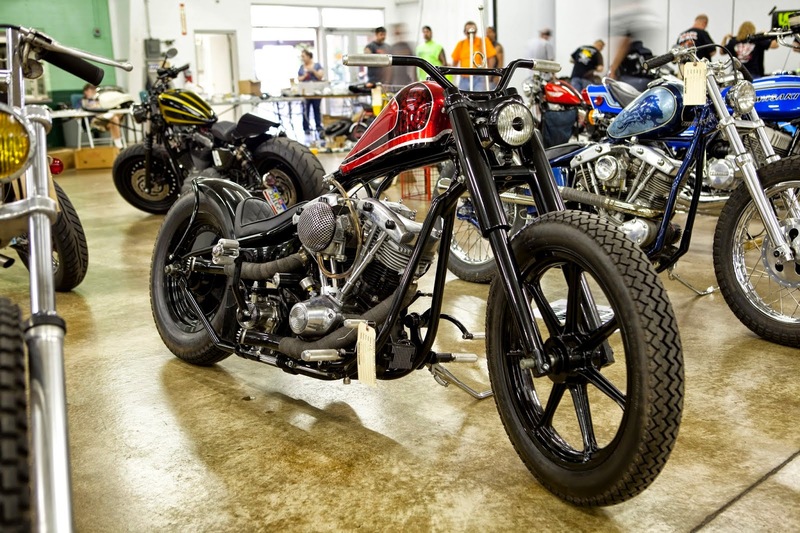 This past weekend Lowbrow Customs hosted the latest Lowbrow Swap & Meet held Saturday, August 20th, 2016. Lowbrow Swap & Meet events are held the 3rd Saturday of every month, May through October, at Lowbrow Customs headquarters at 2873 Interstate Pkwy, Brunswick, Ohio 44212. It is a totally free event for vendors and attendees alike! 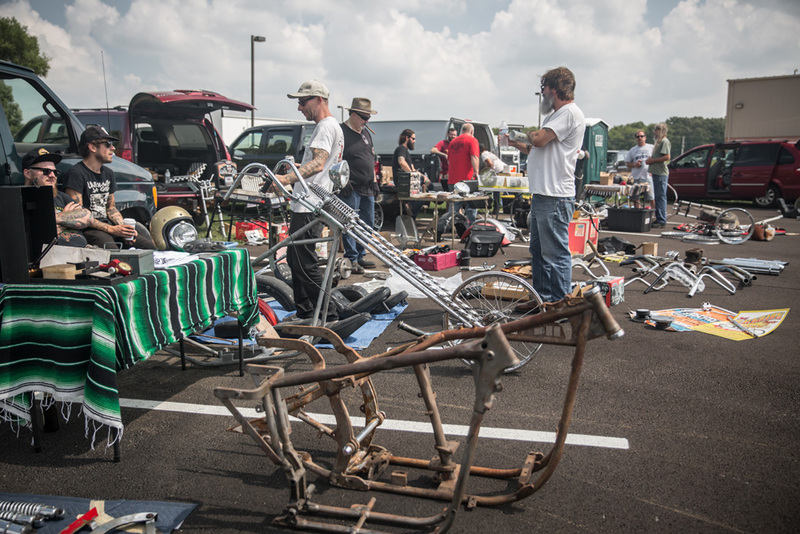 The next Lowbrow Swap & Meet is Saturday, September 16th, 2016. For more details check out the event details at Lowbrow and register now for your free spot! 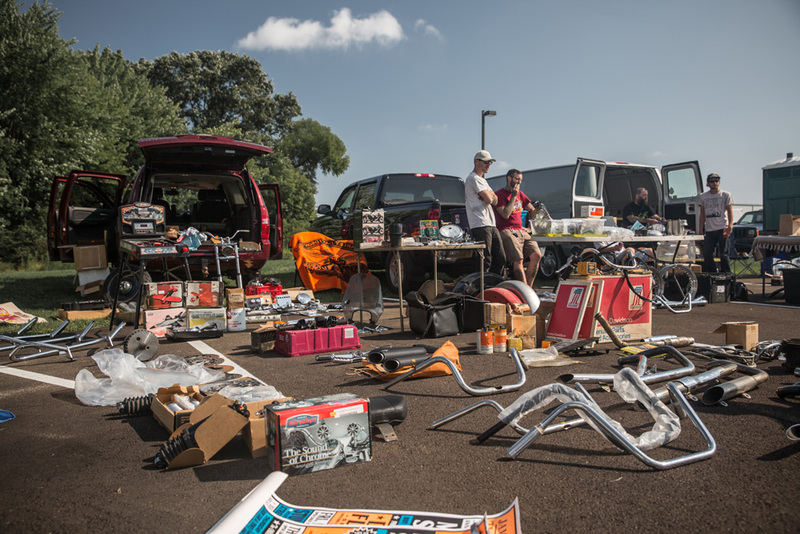 Motorcycle handlebars, exhausts, model kits, mufflers, come buy, sell or swap for the parts or tools you need! Parts for an array of bikes are at the Lowbrow Swap & Meet, including vintage Triumph motorcycle parts. Lots of killer bikes attend each event, ride out, check out bikes, grab a taco from the Barrio Taco Truck and hang out. 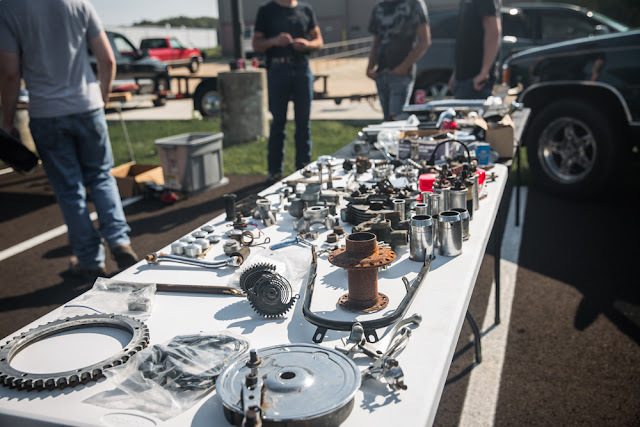 Plenty of vintage Harley-Davidson Big Twin parts, Sportster chopper parts, as well as custom parts for all makes and models are spread around the Swap & Meet. This past weekend Lowbrow Customs hosted the latest Lowbrow Swap & Meet held Saturday, August 20th, 2016. 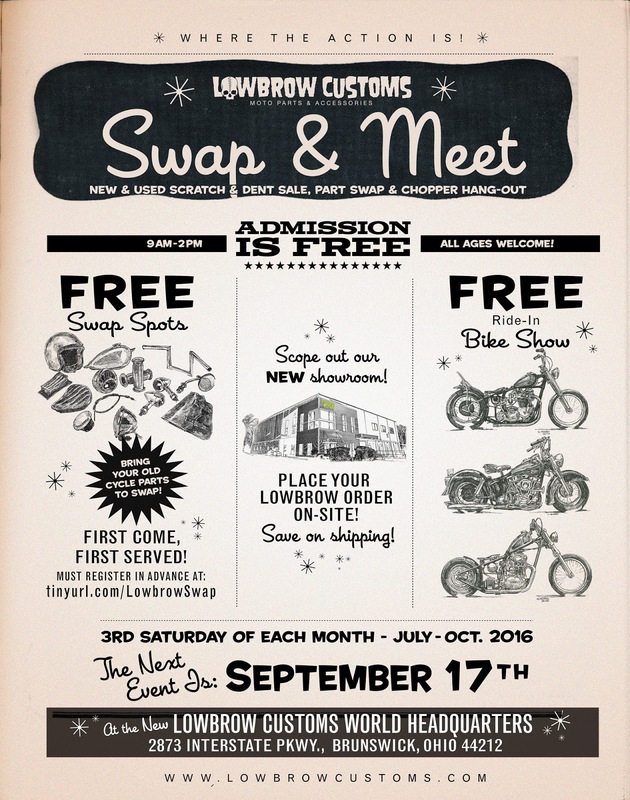 Lowbrow Swap & Meet events are held the 3rd Saturday of every month, May through October, at Lowbrow Customs headquarters at 2873 Interstate Pkwy, Brunswick, Ohio 44212. It is a totally free event for vendors and attendees alike! The next Lowbrow Swap & Meet is Saturday, September 17th, 2016. For more details check out the event details at Lowbrow and register now for your free spot! 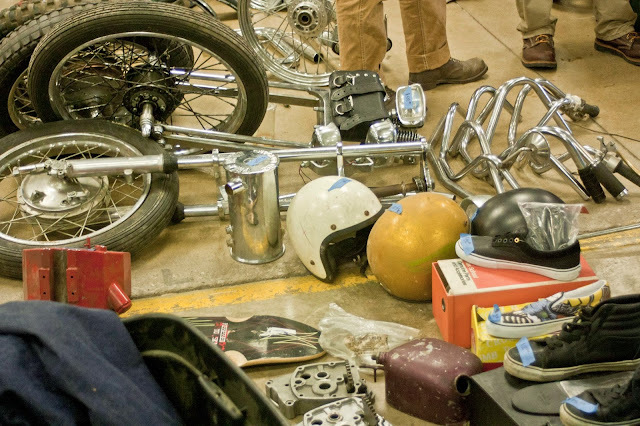 Lowbrow Customs Scratch & Dent Sale at the Midwest Moto Swap this Saturday! 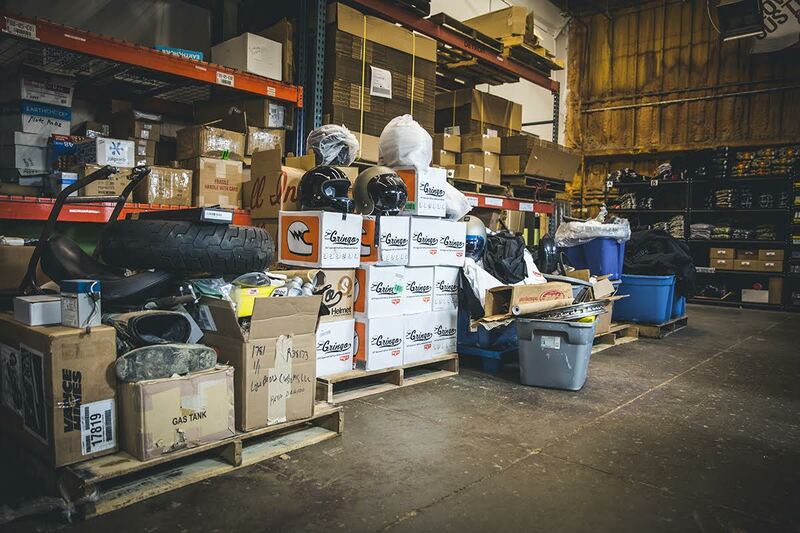 Save 50% off and more from Lowbrow Customs on returns, open box, scratch & dent, discontinued items and more this weekend, Saturday, October 3rd, 2015, at the Midwest Moto Swap! In addition, dig through parts from dozens and dozens of swap meet vendors, $5 entry, 8 a.m. - 2 p.m.
Bring your bike to enter in the MWMS bike show, free with paid entry to the swap. There are three trophies, 1st, 2nd, and 3rd place, all with Lowbrow Customs' store credit as a prize in addition to a trophy for your man cave! 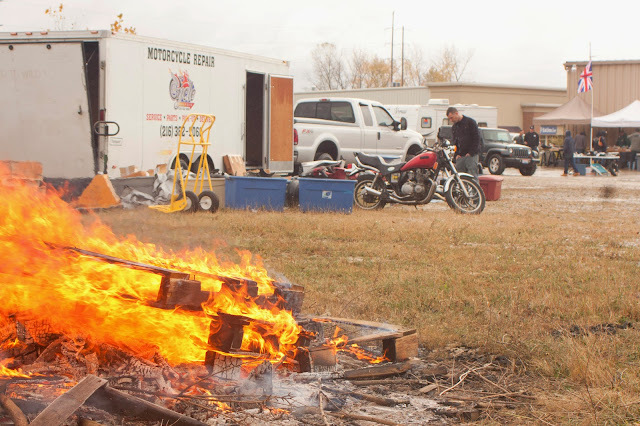 ATTENTION VENDORS, everything is set up for the Midwest Moto Swap on Saturday, October 3rd, 2015 at the Lowbrow Customs at 800 S. Progress Dr., Medina, Ohio 44256. You can download and print out a PDF Vendor Application here or you can take care of online registration and payment here. Be sure to send in your application soon to make sure you get your spot, $30 for the first 10'x10' vendor spot, with each additional 10'x10' being $20. Each purchased vendor spot includes 2 admissions. If you would like to print out and complete an application, they can be faxed toll free to 1-866-378-2871 OR mailed in to Lowbrow Customs, ATT: Midwest Moto Swap, 800 S. Progress Dr, Medina, OH 44256. Vendor setup is the day of show 6:00 a.m. - 8:00 a.m. Show starts at 8 a.m. and goes until 2 p.m. For more info or if you have questions please contact Jessica at 330-850-7040 or via email at jessica@lowbrowcustoms.com. 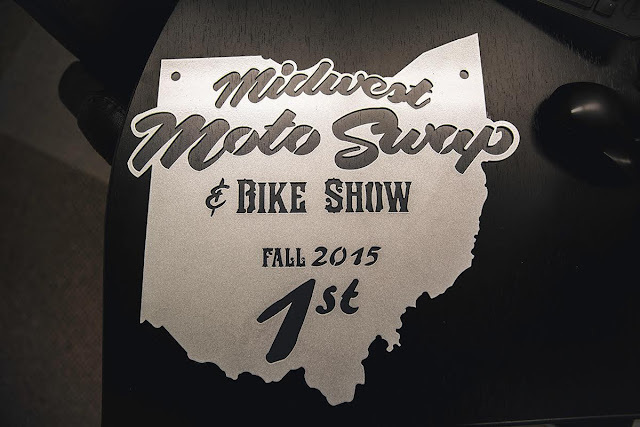 DATE CHANGE: Due to a plethora of motorcycle related events, we decided to push our June Midwest Moto Swap back to the fall date, which is Saturday, October 3rd, 2015. Vendor registration is open for this October swap, so register early and get your spot secured now! The Spring Midwest Moto Swap is coming up Saturday, June 6th, 2015 at Lowbrow Customs headquarters in Medina, Ohio. 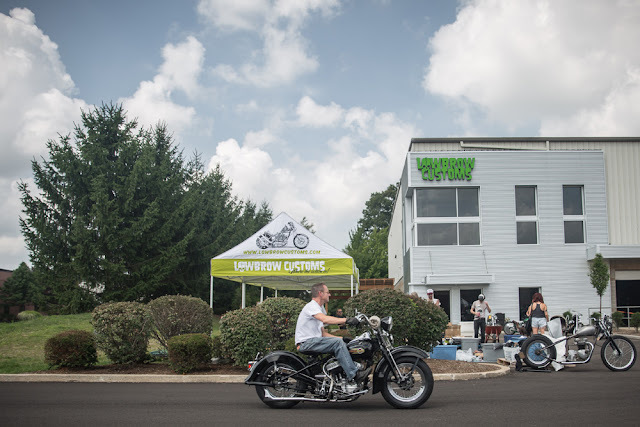 If you are interested in a vendor spot check out all the info here, and you can find the low down on the motorcycle show here! See you in a few weeks! Each category encapsulates everything from a bone stock bike to a full custom. Competition class is for full race bikes (drag, flat track, GP, you get the idea), and the rest are pretty self explanatory. Each category is judged, and we have some awesome trophies for the winners. The Best in Show is chosen from the entire pool of bikes by the judges as a whole. It is FREE to enter your bike in the show with your paid $5 admission! 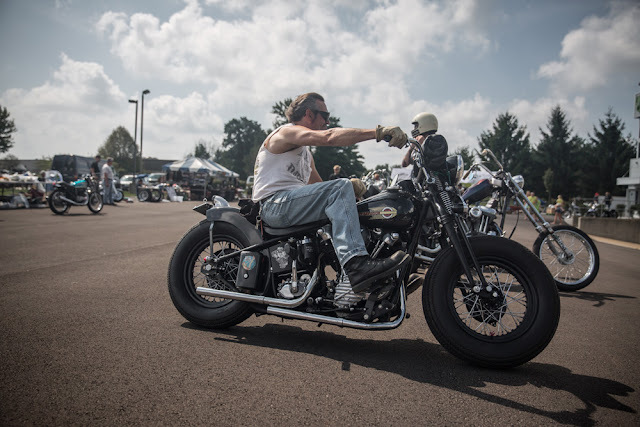 There will be a bike show registration table from 8 a.m. - Noon, and awards will be announced by 2 p.m. Now get that bike spit-shined and ready to ride! 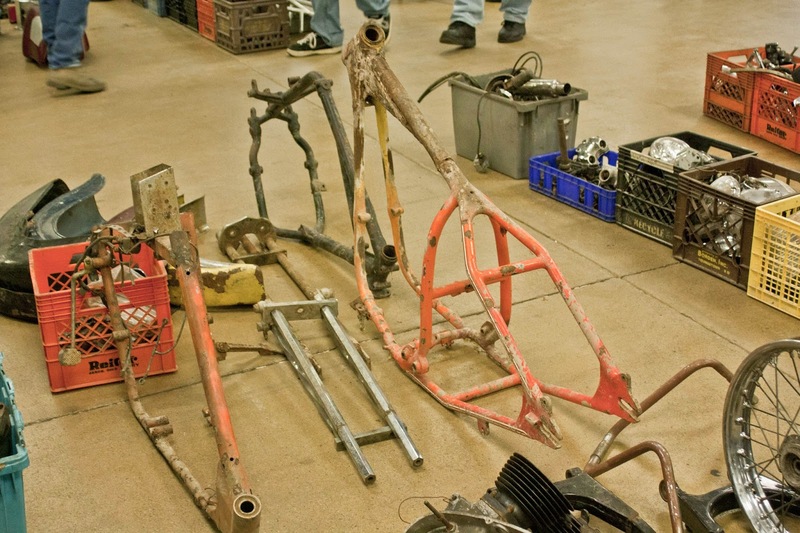 ATTENTION VENDORS, everything is set up for the Spring Midwest Moto Swap on Saturday, June 6th, 2015 at the Lowbrow Customs at 800 S. Progress Dr., Medina, Ohio 44256. You can download and print out a PDF Vendor Application here or you can take care of online registration and payment here. Be sure to send in your application soon to make sure you get your spot, $30 for the first 10'x10' vendor spot, with each additional 10'x10' being $20. Each purchased vendor spot includes 2 admissions. If you would like to print out and complete an application, they can be faxed toll free to 1-866-378-2871 OR mailed in to Lowbrow Customs, ATT: Midwest Moto Swap, 800 S. Progress Dr, Medina, OH 44256. Vendor setup is the day of show 6:00 a.m. - 8:00 a.m. Show starts at 8 a.m. and goes until 2 p.m. For more info or if you have questions please contact Jessica at 330-850-7040 or via email at jessica@lowbrowcustoms.com. Ray Myers from West Salem, Ohio brought in some canned food to donate to the Medina Food Bank at the Midwest Moto Swap this past Saturday and won himself a brand new Biltwell Gringo S helmet in the raffle! Congrats Ray! For each non-perishable food item you donate at the Midwest Moto Swap this weekend you will receive one raffle ticket for a chance to win a brand new Biltwell Gringo S helmet! All food items will be donated to the Medina Food Bank. Thanks for your support!